KR Communications Ltd. has been providing customized total solutions for emergency call, communication and management system needs for hospitals, long term care, family centres, school boards and business environments across Ontario since 1988. Our commitment to customer service and dedication to providing cost effective state-of-the art systems is the reason customers have selected KR Communications Ltd. for their communication requirements. Our team of dedicated, seasoned professional designers and technicians utilize cutting edge technology in emergency call, dementia-care, wandering resident, infant abduction protection, positional staff duress, radio pocket pagers, wireless and wired phones, public address, sound systems, intercom, door access, security, CCTV, data and clocks to provide total communication system integration for your needs of today and tomorrow. We understand the scope of work and utilization of these systems and are committed to providing excellence in quality products and workmanship to ensure complete customer satisfaction. Let us be your one source provider for customized integrated solutions. 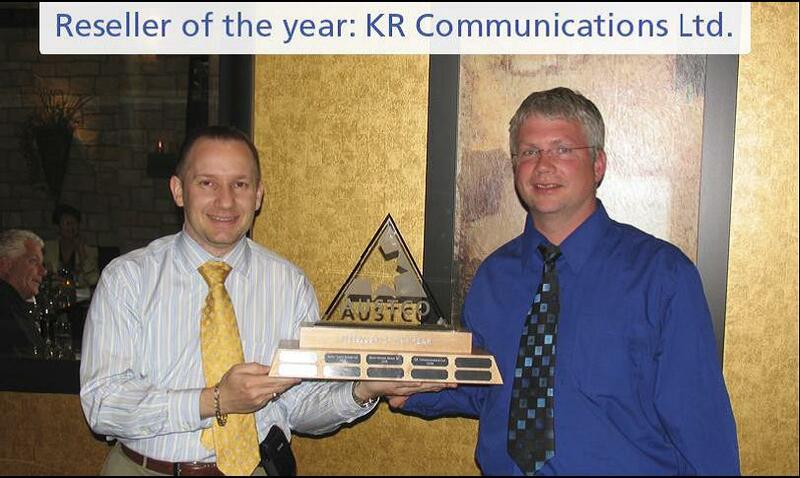 Four years running KR Communications Ltd. were presented with Austco’s “Excellence in Technical Knowledge” award. Austco “Reseller of the Year” award presented to KR Communications Ltd. Criteria for the award includes technical knowledge, quality of installations customer satisfaction, service response and sales volume. 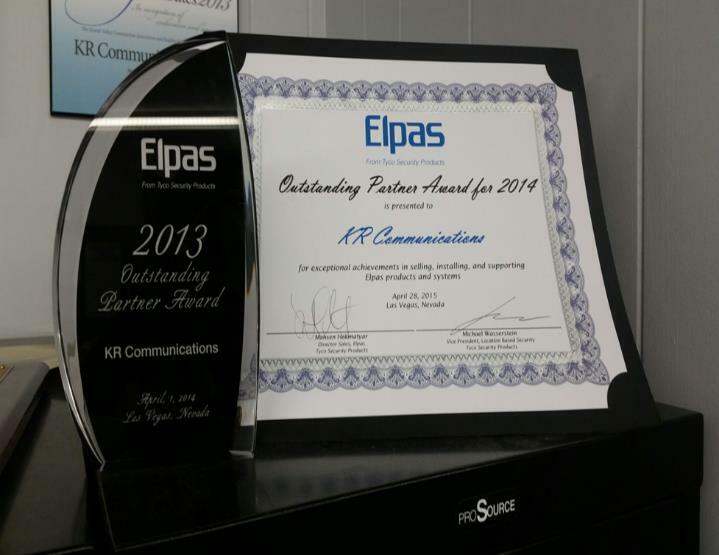 Awarded the Elpas Outstanding Partner Award two years in a row. Our technicians are factory trained professionals capable of providing 24 hours, 7 days a week emergency service. KR Communications Ltd. technicians represent our company in a professional manner. They are personable and knowledgeable in healthcare facilities requirements and desires. KR Communications Ltd. strives to provide same day or next day service for all of our valued customers. For Buying, Designing, Repairing or Installing Health Care/ Emergency Call Systems, Call Us Today! Our areas of service include London, Windsor, Toronto, Kitchener, Waterloo, Guelph, Burlington, Bruce County, Huron County, Oxford County, Middlesex County, Perth County, Niagara County, St. Catharines, Brantford, Hamilton, Oshawa, North York, Mississauga, Brampton, Milton, Peterborough, Belleville, Barrie, Orillia, Simcoe, Cambridge, Markham, Vaughan, Chatham, Owen Sound, Goderich, Sarnia and across Ontario.